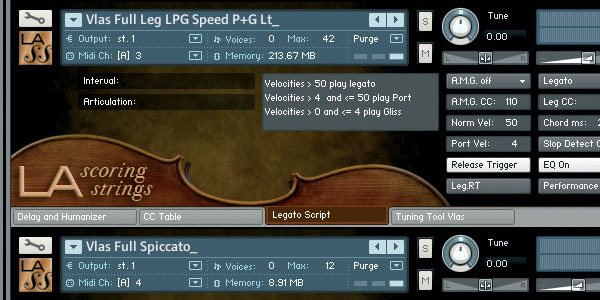 LA Scoring Strings (LASS) brings a whole new level of expressiveness, realism and real-time playability to sampled strings. At the heart of its revolutionary sound are Real Legato performance sample patches and a unique “layered ensemble” approach. These ensembles were all recorded individually in a large film scoring studio. Because they’re made up of different players (avoiding the dreaded “same player” sound), they combine seamlessly to produce entirely cohesive small, medium, or large sections with the right divisi ratios. 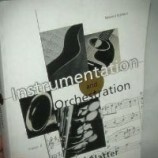 LASS also features solo instruments performed by the section leaders. Rather than sounding like “guest soloists,” these instruments sound like the first chair players they actually are, blending perfectly with the sections they come from. The players are recorded in position on the scoring stage and mixed in the traditional orchestral seating perspective, making it simple to get a magnificent string mix out of the box. Meanwhile we took the utmost care to ensure that the instruments can be panned anywhere with virtually no phasing problems should you need to do that. 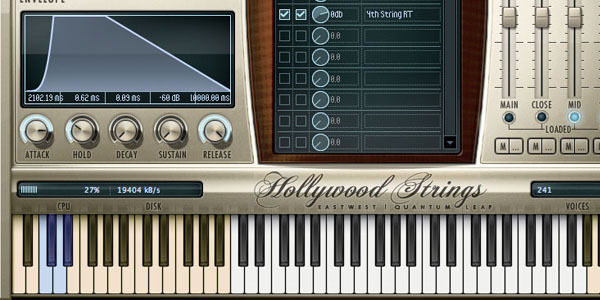 Cinematic Strings 2 is a completely redesigned and updated version of the original orchestral strings sample library. Whilst retaining the warm luscious tones produced in the world class Verbrugghen Hall of the Sydney Conservatorium, the new version features a sleek new interface and even smoother legato. Because Cinematic Strings was created to meet the needs of working composers in today’s film, television and video game industries, our focus has been to maximise both efficiency and authenticity. With this in mind it provides a realistic mockup tool, and an inspiring instrument – which will save you from all the hassle and wasted time spent tweaking parameters, modifying CC data, or applying drastic EQ and reverb effects to emulate the sound you’re after. 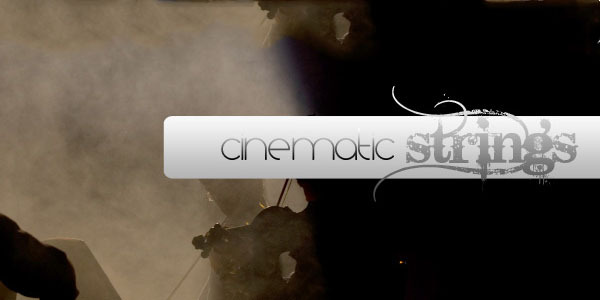 Don’t forget to check out our review of Cinematic Strings 2. If you are looking for that larger-than-life Hollywood sound, the Appassionata Strings are the perfect answer. In particular the legato and sul-G-performances, with varying intensities of vibrato, provide a passionate, large and epic string sound. 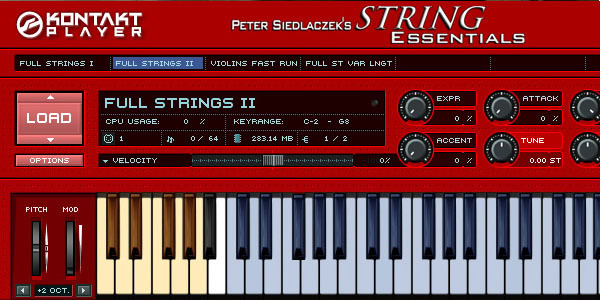 These big strings are designed for all kinds of cinematic music, from slow and lush themes to fast action scores. In addition to arco and legato styles, the 20 violins, 14 violas, 12 cellos and 10 double basses (six among them being 5-string double basses) feature accented interval notes, staccatos and spiccatos. While Appassionata Strings I covers a wide range of articulations, Appassionata Strings II offers almost all of the articulations in the first Collection, but played “con sordino”. 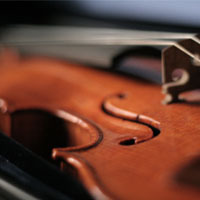 Some composers even combine the “normal“ strings with muted strings, resulting in a particularly thick and luxurious sound. 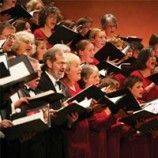 Recorded by 11-time Grammy nominated classical recording engineer Prof. Keith O. Johnson, the Eastwest/Quantum Leap Symphonic Orchestra is the most awarded orchestral collection ever, and the only orchestral collection to be recorded in a “state of the art” concert hall where orchestras mainly perform. 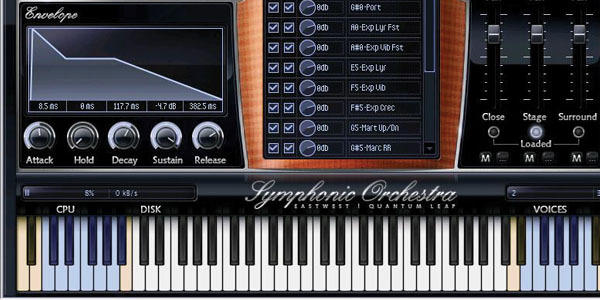 Create lush symphonic music with this collection of software instruments. 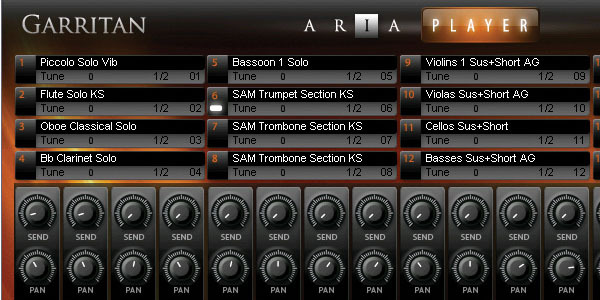 There are well over 200 software instruments – delicious strings, joyous brass, intimate woodwinds, powerful percussion, glorious concert organ, Steinway virtual concert piano, heavenly harps and more. 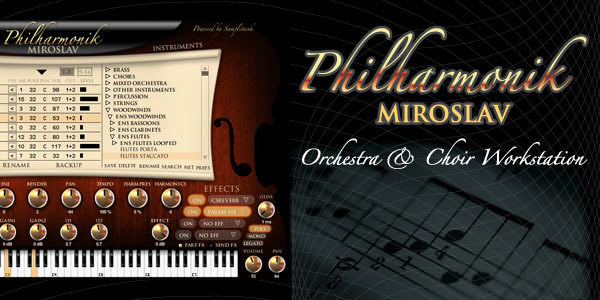 Miroslav orchestral samples are some of the most playable and inspiring sounds ever produced for symphonic arrangements and composition. They’ve marked the atmosphere of hundreds of movies and productions and have become the tool of choice for many Oscar® winning composers. 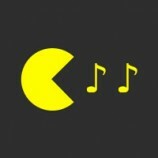 Never before has so much feeling and emotion been captured in orchestral sampling. 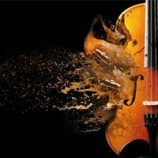 Miroslav was able to bring out the rich character of symphonic music with a special sound that is unique and powerfully expressive. 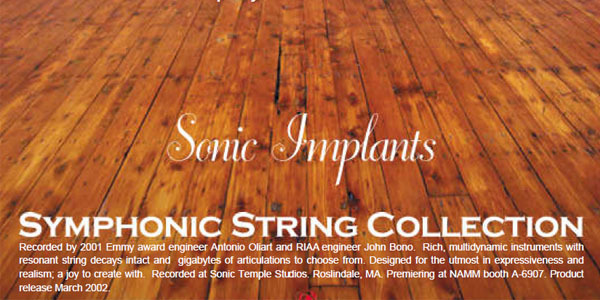 Recorded by Emmy award engineer Antonio Oliart and RIAA award engineer John Bono, designed and produced by Sonic Implants engineers, the Sonic Implants Symphonic String Collection is gigabytes of the most comprehensive, beautiful and playable ensemble string sounds available. 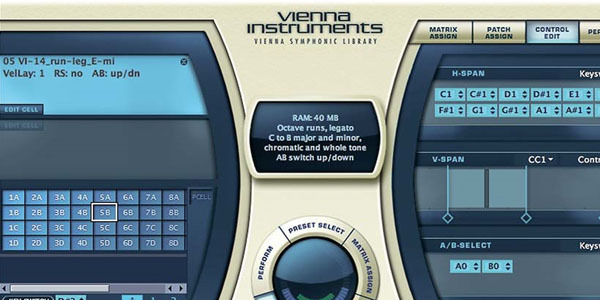 Rich, multidynamic instruments with resonant string decays intact and gigabytes of articulations to choose from. Designed for the utmost in expressiveness and realism; a joy to create with.